Sometimes, it pays to be a TV Fanatic. 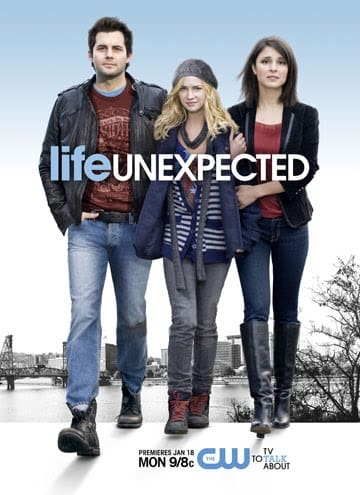 Our staff has received an advanced copy of the pilot episode of Life Unexpected. Follow the preceding link for a recap of the first installment. The series premieres on The CW on Monday January 18, 2010 at 9 p.m. It's receiving great reviews and now we officially know why! Check out our recap of the episode and let us know what you think. One thing is for sure: Dawson's Creek and Rosewell fans will not be disappointed!